Organizing a guild library: Two guilds’ strategies. Rosemary Skinner (pictured on the right) is a longtime member of the Handweavers', Spinners', and Dyers' Guild of Western Australia, and she has filled the post of guild librarian for twenty-five years. When she started in 1987, there were about 450 titles in a library that has now grown to 1,389 titles (in addition to numerous magazines and DVDs). Rosemary's husband, Roy, has over time developed a computer database for the library. This burgeoning database not only tracks individual titles, but it is also indexed, allowing members to search for individual topics. The Carmel Crafts Guild (California) is using a catalog website, www.librarything.com, to organize its guild library. 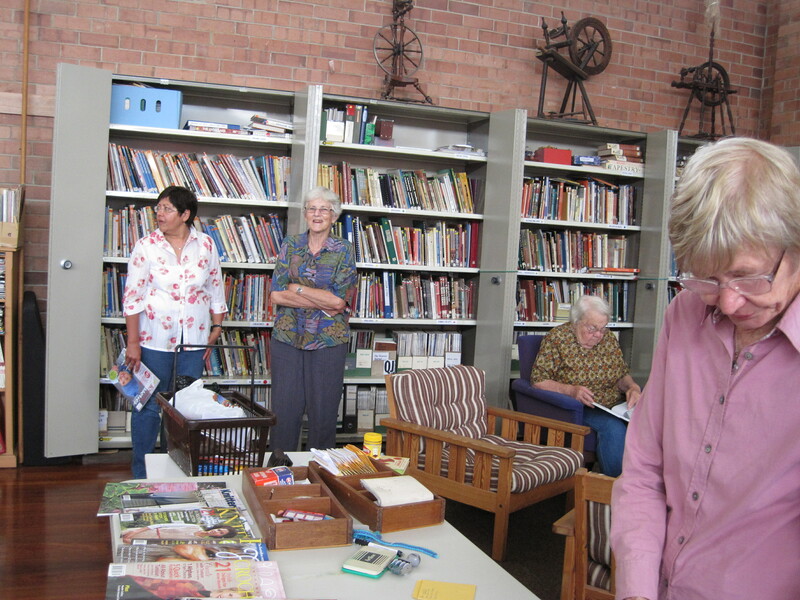 Members can log into the group account and search the guild's entire collection of textile books and magazines. The actual collection is stored at a member's home. How does your guild keep track of its library? Thank you to all the newsletter editors who have included Spinner's Connection on their mailing lists. If your group produces a newsletter and you would like to be included in Spinner's Connection, please email spinnersconnection@interweave.com. Let's connect!